Not too long ago, internet video production was the exclusive realm of amateur attention-seekers with shaky cams. While YouTube is still inundated with teenagers venting into webcams and low-budget zombie romps, a few high-profile names have carved themselves into the internet pantheon, and now a more are looking to do so. 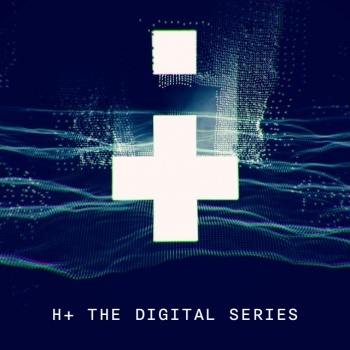 Bryan Singer, director of the first two X-Men movies (as well as one other not-so-good superhero film) has premiered H+ The Digital Series, a fairly high-minded YouTube show with sci-fi sensibilities. Singer is not the only big name involved with the project, as he'll be bringing Alexis Denisof (Wesley from Buffy the Vampire Slayer) along with him as a star. H+ takes place in the near future, where an "HPlus" chip allows humans to use their own bodies as internet conduits. After a mysterious virus wipes out billions of people, the story centers on an eclectic collection of characters who must grapple with politics, intrigue, and technology advancing faster than human morality can keep up with it. Instead of a sequential story, the show's 48 episodes will embrace multiple perspectives, intersecting narratives, and a playlist system that allows viewers to choose whether to watch episodes in a chronological or character-arc sequence. Singer, who also produced X-Men: First Class, and Denisof, who is perhaps better known these days as Sandy Rivers in How I Met Your Mother, are not the only big names attached to the project. New Girl's Hannah Simone will play a leading female role, and Stewart Handler, the director of Halo 4: Forward Unto Dawn will take on H+'s directorial responsibilities. John Cabrera, the man behind Gilmore Girls, conceived the project - whether this is a good or bad thing will largely depend on how religiously you tuned into that show during your adolescent years. Given that the show's budget is not astronomical and generating significant revenue on YouTube is arguably more difficult than juggling multiple cream pies while riding a unicycle, there is plenty that can go wrong between the first and 48th episodes. Still, if you've got a few minutes, it couldn't hurt to check it out; it may be good reference material for when the first actual internet epidemic starts wiping out massive chunks of the global populace.